As of this week it is official: the wolf has settled in the Netherlands. It is another milestone in the movement towards a more nature-friendly society in one of the busiest Western European countries. It serves also as an important example that wolves can also choose to settle in more densely populated countries, and not always need vast wild lands. As long as there is enough food available and peace on their territory, wolves can go anywhere. According to the national regulations, the Netherlands considers a wolf to settle when it spends at least 6 months in the same territory. Half a year ago, the female wolf GW998F left her traces on the Veluwe. Since then, officials recorded several signs of her presence in the area. This week, researchers found wolf poop again in the northern part. The chances are high that this belongs to GW998F. Then it becomes official: GW998F is the first wolf to settle again in the Netherlands. Although GW998F would take the first price, she is not the only wolf holding up in the Netherlands. There are a couple of other wolves in the northern part of the country, which have been around for a longer time. Experts state that it could be only a matter of time before a suitable partners crosses paths with GW998F. A wolf family would then be the next step, maybe already in 2020? The Dutch can learn from the German neighbours, who host 73 wolf packs nowadays. The return of the wolf fuels a heated discussion, as in many other countries. Just recently, the agricultural organisation LTO already came with the demands to ‘control’ wolf presence in the country. Any number of wolves over a set quota, should be killed, says the organisation. In 2018 about 150 sheep died from wolf attacks, from the 866 thousand walking around. The Dutch hunters’ association thinks the Netherlands is too busy for the wolf. Any animal reproduces and this creates conflict, says the spokesman of the hunters’ association. In the meantime, the 12 provinces published a new ‘wolf plan’ (PDF). It describes the guidelines according to which should be handled in case of single traveling wolves, settled wolves, wolf pairs and eventually a wolf pack. The local ranger on the Veluwe shows that many concerns are based on fake news. Since GW998F found a place on the Veluwe, she did not attack a single sheep. As with any wolf, her diet consists almost completely out of wild animals, like roe deer and wild boar. In the meantime, more farmers improve their livestock protection measures, to avoid loosing animals to wandering wolves. 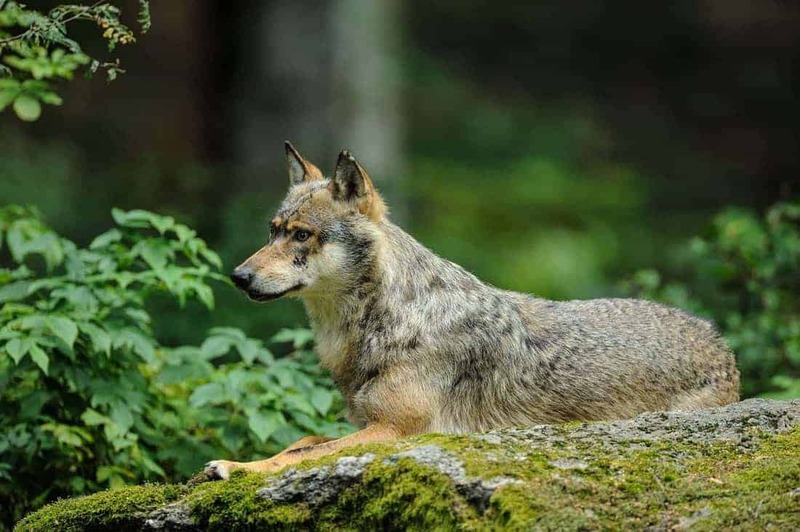 The platform ‘Wolven in Nederland’ also confirms again that many concerns are unjustified, and practical solution that do not involve killing wolves are more effective.